Dr. T. Siva Prasad has vast experience in dealing with acute and chronic pains and having completed his M.D from PGIMER, Chandigarh in 1998 he has been practicing in Hyderabad at various corporate hospitals as a consultant anaesthesiologist since then. After gaining exposure at national and international conferences and workshops in pain interventions, he fully evolved into a pain physician with expertise in various interventions. 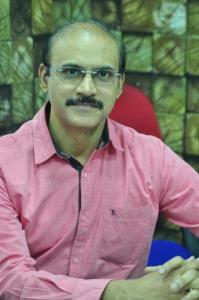 He has contributed in creating awareness among public by writing articles in newspapers. He regularly appears in media as guest speaker to clear the genuine doubts on pain among common people .He conducts free camps at monthly intervals in and around Hyderabad for patients suffering from pain. He is well versed with spine interventions including percutaneous endoscopic discectomy, which is rapidly gaining acceptance among public instead of an open spine surgery for single or two level disc diseases. The pioneering work on PELD (Percutaneous Endoscopic Lumbar Discectomy) has been presented by our team at national and international neurosurgery conferences in 2016 with good appreciation from all. He has to his credit of treating acute migraine attack by simple nerve blocks with best and immediate pain relief. This is one of the firsts in south India. He is a good supporter of PRP (platelet rich plasma) therapy for tendon or cartilage damages in shoulder or knee joints with pain. He treats degenerated discs with ozone nucleolysis through fluoroscopy guided intervention and makes the disc shrink giving good relief from disc related nerve root compressions. He has a special concern for cancer pains and has the facilities to treat chronic pain abdomen due to diseases like pancreatitis or chronic pelvic pain among women. He also is committed to managing severe pains following major surgeries like joint replacements in immediate post operative period.